Custom planning is the hallmark of a successful project. 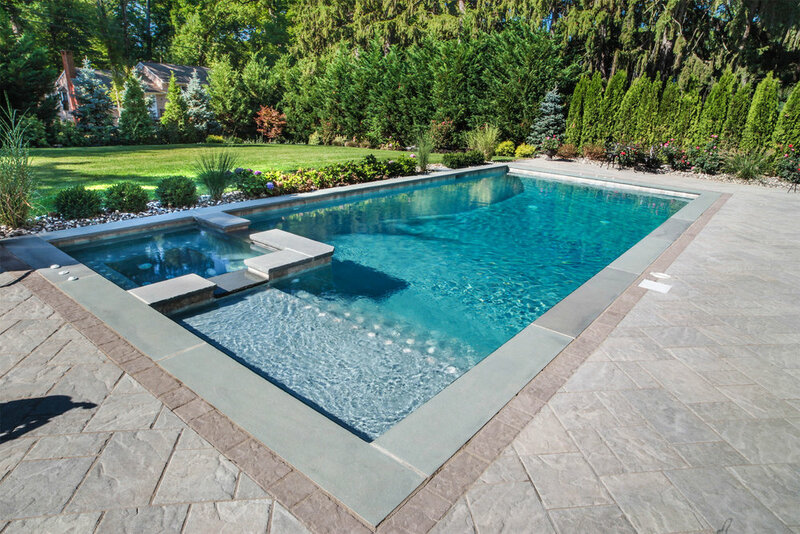 At Masterson Pools & Spas, we believe the planning and design stage of any project is the most crucial and, at times, the most difficult part of the process. Masterson utilizes state-of-the-art auto cad software to help you envision your dream. Our staff has many years experience working with the area’s best landscape design professionals. This ensures your project is completed in a professional manner that respects aesthetics, sound construction principles, and budgetary concerns. One of the most popular additions to any new pool construction project is a waterfall / water feature. The sounds of water flowing can be both calming and soothing after a long day at work. In addition to the therapeutic value, water features can act to provide background noise to help mask the day-to-day nuisance of road noise and other unwanted invasions of your privacy. Always a popular option, an attached spa is the ultimate in personal relaxation. 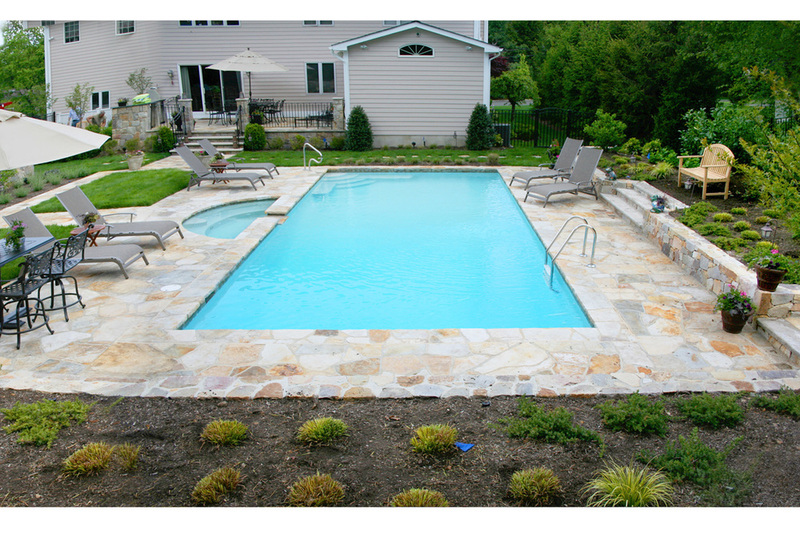 A spa operating off the pool equipment is an extraordinarily efficient way to make your new pool even more enjoyable. Whether it is on a cool summer night or after a workout, adding a spa to your pool project makes owning a new Masterson Pool a personal retreat that the whole family will enjoy year after year. With internet-based smart phone controls, your spa is ready for you at a moment’s notice. Some of the more interesting features available in concrete pools today are the beach entry and sun shelf. 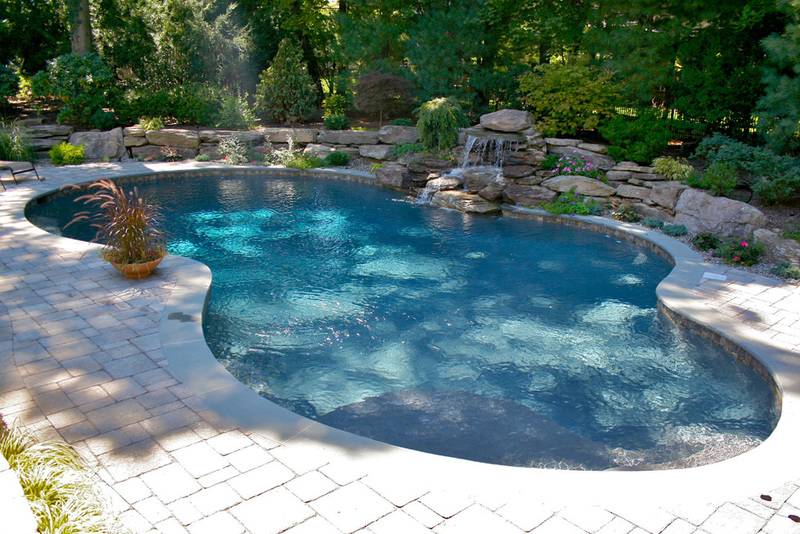 These options have quickly become the most popular in new pools built today. The shallow waters created by these features stay substantially warmer than the body of the pool. The warm waters create a special place for gathering in your new pool. A favorite among both small children and sunbathers, a beach entry or a sun shelf will make your pool experience feel like the resort pool you were dreaming of. Creating a truly dramatic illusion, these options are the ultimate addition to the dream pool. Although not suited for every project, the vanishing edge/negative edge pool, when designed correctly, will be the focal point of the most spectacular backyards.